When you’re looking for an Oahu bail bonds company, look no further than the team at Wanna Get Out Bail Bonds. No matter the time of day or night, no matter the situation, you can count on us to be there for you in your time of need. There’s no doubt about it. Being arrested is a difficult and stressful situation. Fortunately for you, we’ll be there to help at every step of the way. Whether you’ve found us by searching for “DUI bail bonds near me” or you have heard about us from a friend who worked with us and had a great experience, we’re just glad that you’re considering our bail bonds service. When it comes right down to it, we know that you have options, but what we want you to know is that we will always go above and beyond for our clients to ensure that everything goes as smoothly as possible. 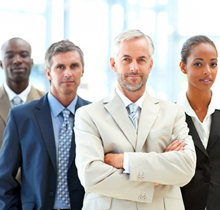 One of the most important things to consider when choosing a bondsman is how much experience their team has. The good news is that when you choose WGOBB you can rest assured that you are partnering with a team who has seen it all over the years. From DUI bail bonds to surety bonds and everything in between, we’ve been there to extend a helping hand to people who needed it. The thing that separates us from the rest is that when you choose to work with us we’ll treat you like family. We know firsthand just how important it is to have someone who supports you by your side as you go through a difficult experience. In other words, what we hope to provide for our clients is a bit of understanding. What we mean by that is that we know how confusing the bail process can be if it’s something you’ve never gone through before. That’s why when you call the experts at WGOBB you’ll find that the voice you hear on the other end is caring. It’s what we pride ourselves on the most. After all, you don’t need a bondsman stressing you out while you’re already dealing with so much! When it comes to bail bonds Oahu has a number of places that you can go, but what we can assure you is that your experience with our team will be second to none. We take customer service seriously and we want you to know that your case will be our top priority. Or, as we often like to say, if you have an emergency, we have an emergency. It’s as simple as that! 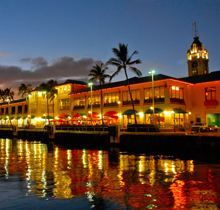 We proudly offer bail bonds in Hawaii, but our specific location is in Honolulu, Oahu. When it comes to finding a Hawaii bail bondsman, we hope that you’ll turn to us. But what is it specifically that sets our team apart from the others? As is often the case in life, we could try to say quite a bit to convince you, but when it comes right down to it the best thing is hearing from others who have been in the same position you’re in. That’s why we’d like to highlight a handful of Wanna Get Out Bail Bonds reviews below so you can see what real people are saying about working with us. We pride ourselves on excellent customer service, so let’s see what our clients are saying. Thanks for the kind words, Mallyah! There truly is nothing we love more than hearing what you had to say. We got into this business to help people in their time of need and if there’s anything else we can do for you, don’t hesitate to get in touch! We’re blown away by the thoughtfulness of your review, Jim, and we want you to know that it truly was our pleasure to help. We couldn’t be more thrilled to hear that your son is in a good place now. It’s why we do what we do. Thanks again for your review, Jim! It means quite a lot to us. From DUI bail bonds to surety bonds, we pride ourselves on offering our clients solutions that work for them. Give us a call any time (we even accept collect calls!) to get free bond advice from a qualified team of experts. We proudly offer our bail bonds service 24 hours a day and 7 days a week. In other words, no matter the time of day or night, if you’re in need of a bondsman, we’re the team to call. Emergencies don’t happen on a schedule, but as we said above, if you have an emergency, we have an emergency. It’s as simple as that! With no collateral needed on most bail bonds, we help to ensure that your best interests are always kept in mind. We know that money can be a consideration, but we offer up to a 20% discount for when our clients are paid in full as well as zero interest and flexible payment plans. The goal is to get you the help you need and we don’t mind going above and beyond to do just that. Perhaps most importantly, complete and total discretion is assured at every step of the way. Your reputation matters and that’s why we work quickly and discreetly to get you released so you can start planning your next steps. Legal situations can be stressful, but when you choose us, we’ll give whole new meaning to the term “bail bonds near me” because we truly will be right here to help any time you need us. Contact us today to get the help you need.